Thank you all! 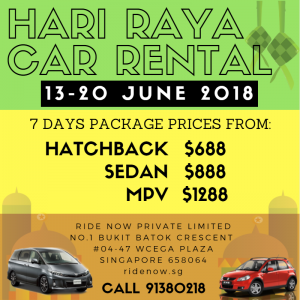 We are fully booked for the Hari Raya package. Our office will be closed from 14 June to 19 June. We will resume operations on 20 June. See you then!